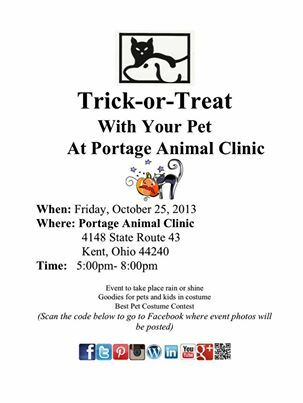 We welcome you to attend our annual Trick-or-Treat With Your Pet event on Friday, October 25, 2013 at Portage Animal Clinic from 5:00-8:00pm. There are crafts and goodies for children and pets. 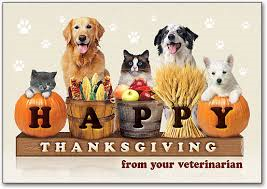 We encourage you to bring your pets in costume and enter our costume contest. We take photos of all of our participants and post them on Facebook so that you can share them with your friends. We hope to see you there!